Reports of massive, multiple simultaneous incidents of violence in Paris, France -- apparently by one or more Islamic terror groups. There are, however, no simultaneous reports of violence in other parts of the world (at least on Drudge, the best general news source I've encountered yet). 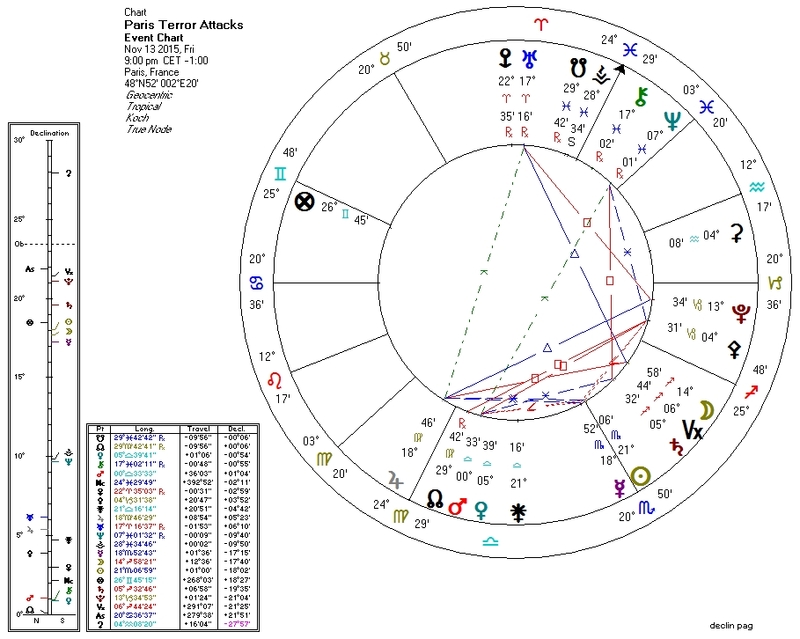 So it should be no surprise for those familiar with this blog that we should find a weak Bloodbath Formula (a stronger one would result in more cases of simultaneous violence around the world), and a strong Pluto-to-Pallas transit against the national chart for France (accounting for the localization of the violence). exact time unknown -- "late Friday"
3. Venus widely square Pluto. 5. Sun ruled by Pluto. 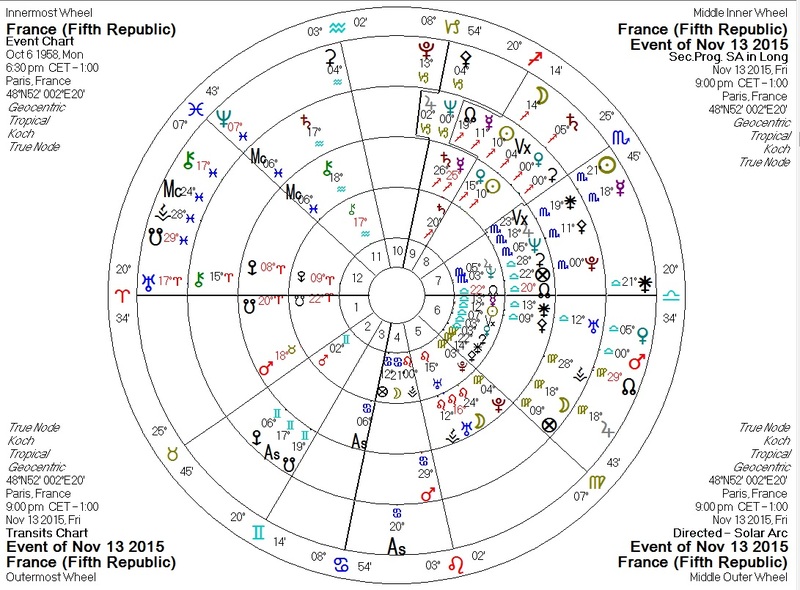 Transiting Pluto at the France MC, trine France Pallas, square progressed Pallas, and sextile solar arc Pallas. An extremely strong message that the ethics which keep the peace and comprise civilization are to be sorely tested.